Receive a $50 rebate when you purchase this machine. Buy Additional Miller accessories for an even larger rebate! Click the banner to download Miller's Latest Rebate Flyer for additional details! Career welder? 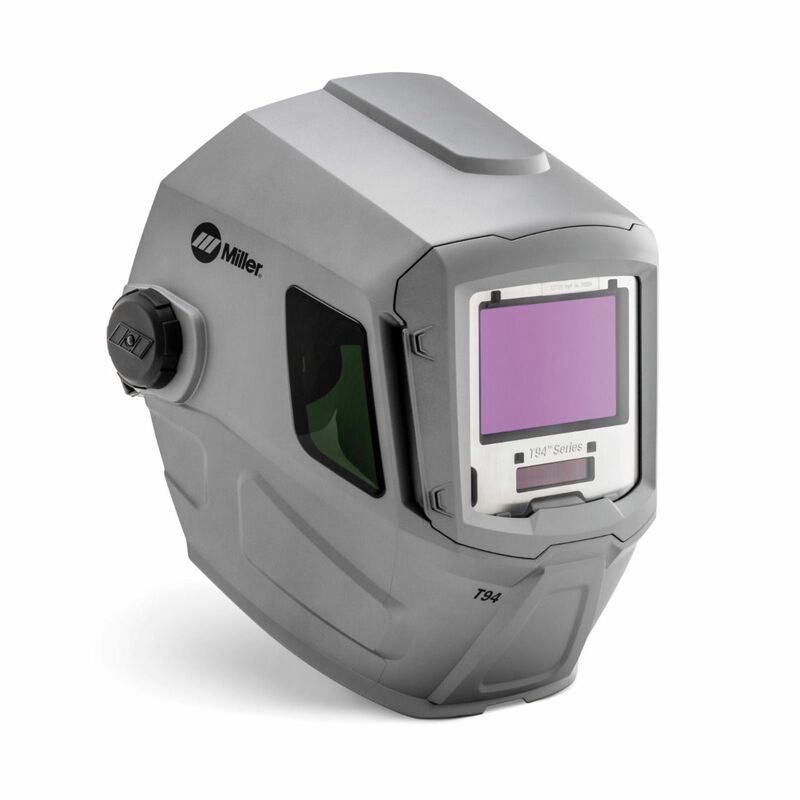 The Miller T94 Welding Helmet (260482) is designed just for you! How does increased comfort, more visibility, and features that increase productivity sound? The T94 helmet features Clearlight lens technology, an external grind button, and the industry's largest integrated grind shield. MIller designed the T94 to minimize operator fatigue: it's 4% lighter, 14% better balanced, and exhibits 17% less neck torque compared to their previous model. And thanks to its silver shell, the T94i reflects more ambient heat than older designs keeping you 8 degrees cooler than comparable hoods. The T94 model does not flip-up for grind mode whereas the T94i does. Click here to view the Miller T94i. 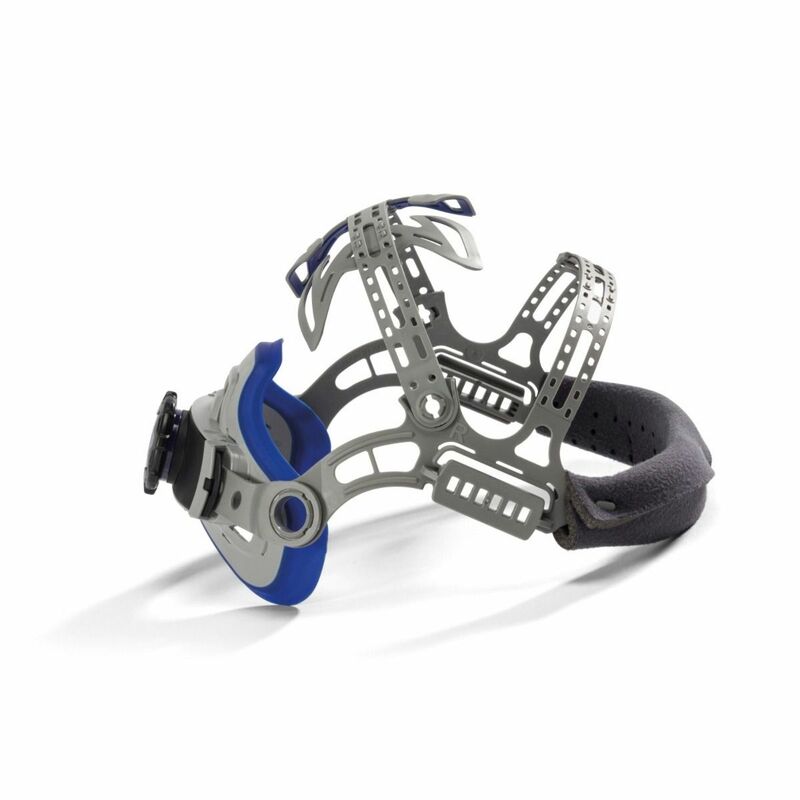 The T94 helmet substantially reduces neck torque, minimizing operator fatigue. ClearLight Lens Technology optimizes contrast and clarity in welding and light states. The T94 design enhancements protect AD lens from dust and moisture; Aluminum heat shield reflects heat to keep lens and user cooler. The four-point flexible headgear on the T94 provides a secure fit, while oversized comfort cushion maximizes all-day wearability. Monitors arc time and arc count for quoting and metrics. 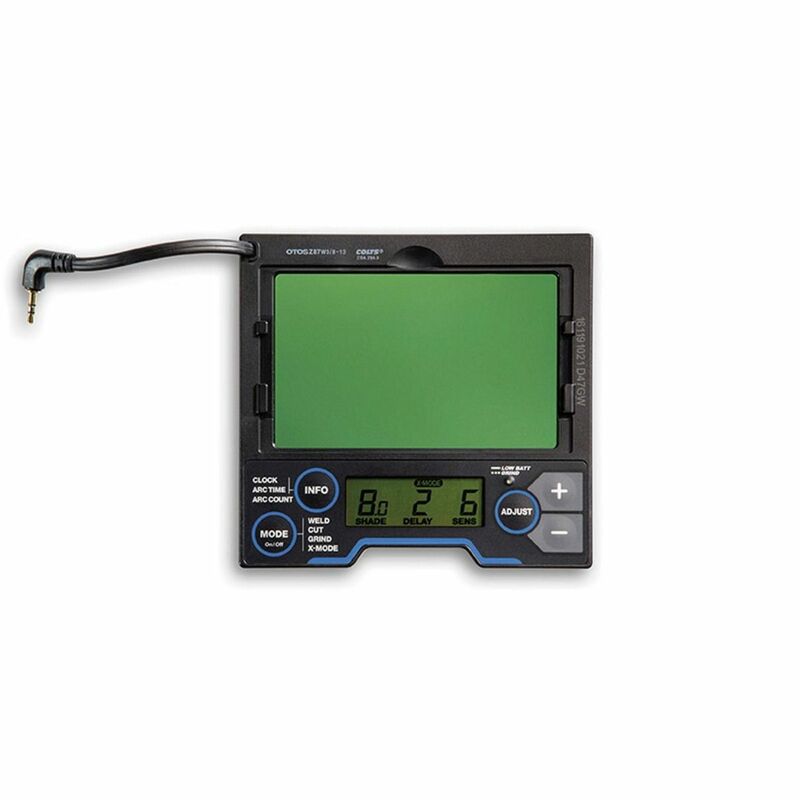 The X-Mode feature electromagnetically senses the weld to eliminate sunlight interference and continuously detects the arc even if sensors are blocked. The external grind control allows for seamless transitions from welding to grinding. 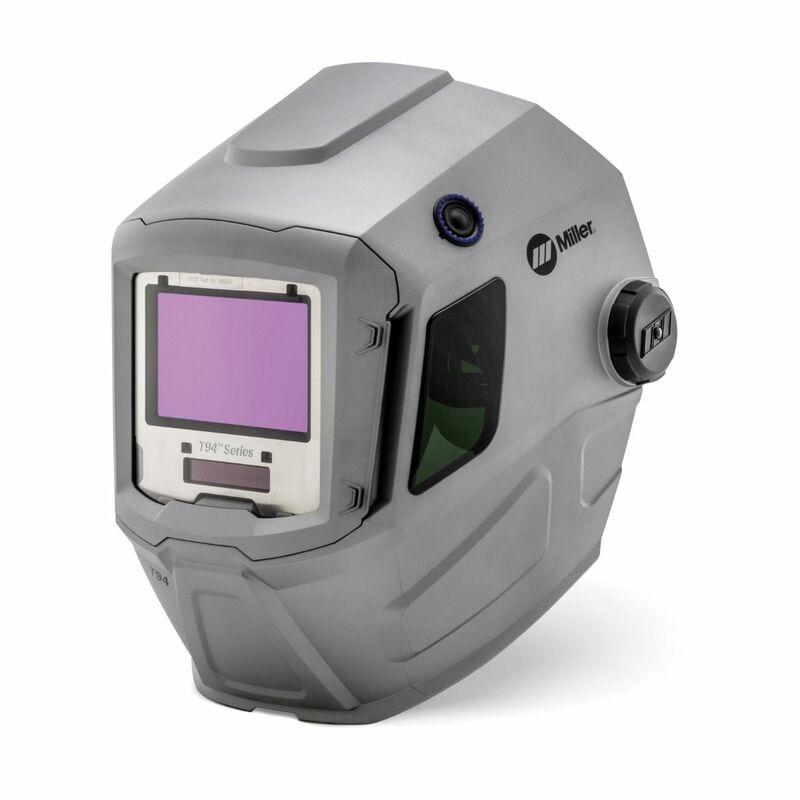 5 stars - "Excellent weld helmet" Guest Lightweight and the color through the lens is awesome. Looks like your are not looking through a welding filter at all. 5 stars - "Excellent Hemlet" Robert I like the X-Mode setting in this helmet. It works great with the magnitic field to provide a positive auto darking outside in all angles of light. Also, the side windows are big advantage to see side movent as people move into your Peripheral vision. 3 stars - "T94" Kevin O. Like the helmet, however, the adjustments for fitting to head and tilt are betond aggravating. I'm going to have to call Miller and get some assistance. 5 stars - "I bought one for my" Guest I bought one for my son and one for my grandson They love them.